I read a total of 26 books in 2018. That's still a way off from my goal of 50 books a year, but it's better than last year's total of 20 - which, considering the fact we moved house earlier this year, is definitely good going! So, out of those 26, which were my favourites? Let's find out! Note: These are all books I read in 2018, not necessarily books that were published during the last year. My top five are also in no particular order. I read The Golden Compass, the first book in the His Dark Materials series, back in 2015 for a module at university. However, it wasn't until 2018 when I finally got a chance to read the second and third books in the series and finish the original trilogy. The Amber Spyglass, the third of the series, was my favourite purely because I felt that it perfectly summed up the heightening events of the first two books. An absolute classic series, the His Dark Materials trilogy is a must-read for adults and children alike. I was lucky enough to receive an ARC of Scythe, and let me tell you, this book features a little bit of everything you could want from a Young Adult novel! I was instantly hooked from the premise and the story itself certainly didn't disappoint, leaving me hungry for more! Thunderhead, the second in the series, is currently sitting on my bookshelf just begging to be read - I'm sure it won't be long before I cave in and pick it up! Eve of Man is probably my most hyped and most talked about book of 2018 - made even more special by meeting Tom and Gi at YALC earlier this year. The book ticks all my boxes - YA, top-notch dystopia, action and adventure, and just a dash of romance. My freshly-signed Eve of Man hardback has quickly become one of my most prized literary possessions and the sequel has since gained a number one spot on my to-read list... when it's released, that is! This is the second year in a row that a Pittacus Lore book has made it into my top five, so clearly, this author is doing something right! Generation One is the first in a new spin-off series (Lorien Legacies Reborn) that was created off the back of the success of the original Lorien Legacies series. I love learning more about the wider world that these characters inhabit, as well as some all-star cameos from the cast of the original books! 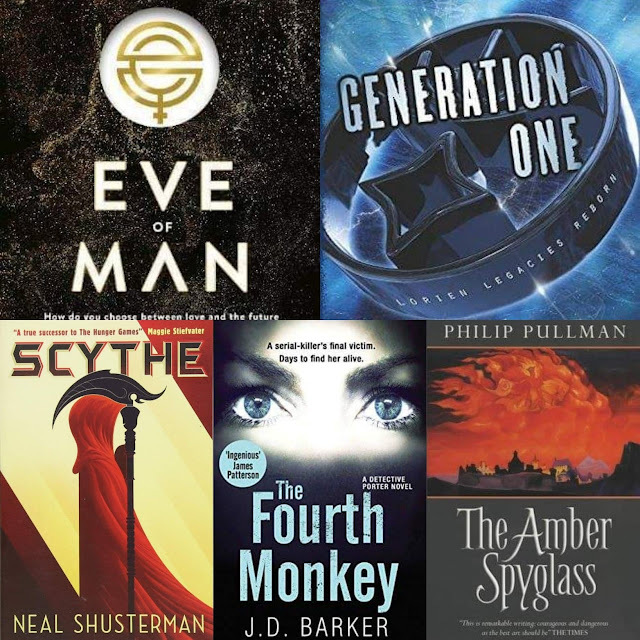 The Fourth Monkey is the odd one out in this year's top five, as it's neither children's/YA or fantasy/dystopian! The first in an explosive new series, The Fourth Monkey is an exemplary thriller - the kind that keeps you turning page after page just to find out what happens next! I read both this book and The Fifth to Die, the second in the series, while away on holiday earlier this year and I just couldn't put them down. As usual, I'm giving one lucky TWG reader the chance to win their choice of book from my top five. Just enter via the Rafflecopter widget below! What were your top reads of 2018? Let me know in the comments below! The Amber Spyglass by Philip Pullman sounds great and i really enjoy his novels.They offer such great fantasy. Scythe by Neal Shusterman would be my choice, though they all look amazing!! Eve of Man definitely. I've wanted to read it for ages! I'd like the Eve of Man book please. Which book would you pick if you won? . . . . . I would pick The Fourth Monkey, it sounds good and I’ve read most of the others. Have to agree Eve of Man is amazing, can’t wait for book 2. I love all Tom and Gi’s books. 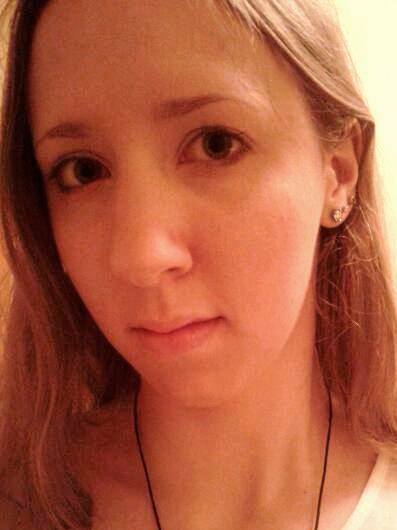 I'd like to try Eve of Man, I've read some of Tom Fletcher's books and I really like them. The Fourth Monkey sounds like just my sort of book! I'd choose The Fourth Monkey because it sounds right up my street. I did the goodreads challenge this past year for the first time (goal was 10 but read 22, so really pleased), would love to start the New Year off with something different to read. 'Eve of man' sounds fabulous!!! It's got to be The Amber Spyglass by Philip Pullman for me. Eve of Man looks a great read. The Fourth Monkey by J. D. Barker would be my choice. The Fourth Monkey by J.D. Barker sounds really interesting and i do love a book that you can't put down! The Amber Spyglass as I have the other two but not this one. They all sound great though! What a selection! Each one of these would be amazing to read so they are all on my list but I think the one I most want to try is the Fourth Monkey! Scythe by Neal Shusterman Intriguing as per your description! I would pick the fourths Moneky, I really enjoy a great thriller and this sounds like one I would like to dive into. The Fourth Monkey looks good. The Fourth Monkey by J.D. Barker - looks a great read! Love the sound of THE FOURTH MONKEY and the cover screams "pick me up and read me". I would choose to read the Fourth Monkey first. It sounds intriguing. The Amber Spyglass by Philip Pullman.